Valentine’s Day is almost here! Are your nails ready? Get out your February Valentine’s Day nail polish shades like red, pink, silver, gold, and white, and do some cute art! Here are several videos to get you started. You can see how to get 28 different Valentine’s Day nail art designs in these! The first video gives ten different nail art looks. There is something here for everyone. All are super cute! Do you like pink and white? Then look at these five fabulous designs, which includes a pretty water marble. Here are another ten super cute ideas. Finally, here are three easy Valentine’s Day nail art designs. 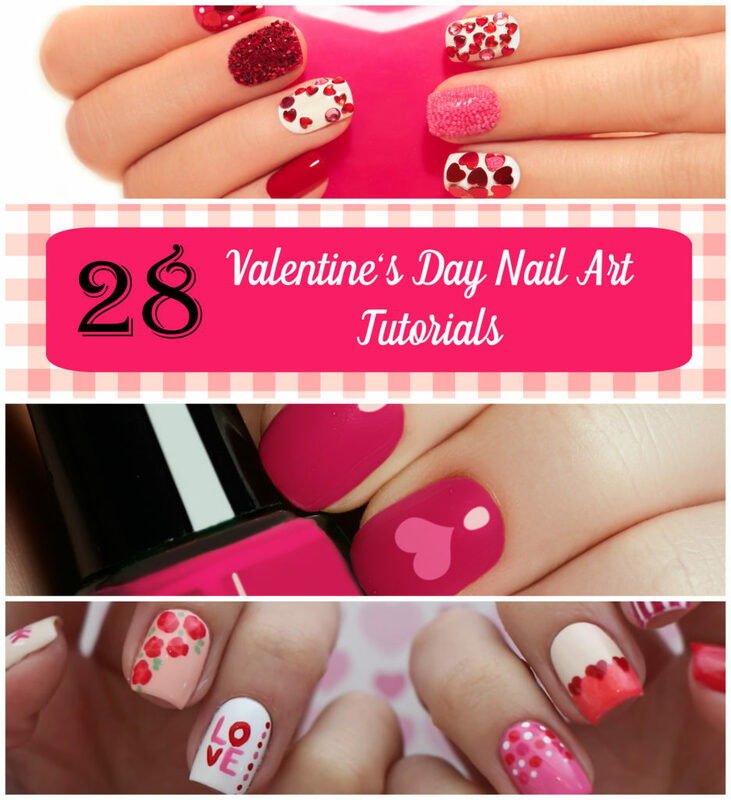 Check out the tutorials and find the perfect Valentine’s manicure for you!